The Match 26 of VIVO Indian Premier League 2019 will see Kolkata Knight Riders welcome Kings XI Punjab at the iconic Eden Garden in Kolkata. The two sides have had an eventful IPL season, with both looking poised for a playoff position. On one hand, hosts KKR are rooted in the second position with four wins in two matches. However, their progress in the was brought to a stuttering halt by CSK, who defeated KKR to stake a claim of the top spot. They will thus be looking to get things straight against KXIP. DC, too, couldn’t capitalize on their good start to the season and have fallen behind in the race for the playoffs. Key Players in form KKR– Andre Russell, Nitish Rana, Robin Uthappa. DC– Shreyas Iyer, Kagiso Rabada. Weather Conditions 28℃, 81% Humidity, Winds up to 14 km/hr. There are chances of mild rains with scattered thunderstorms expected earlier in the day. Toss Advantage The team batting first has won in four of the five times last season. However, KKR chose to bowl first and even won the last match against SRH. DC – DC have been dealt with major blow as domestic stars – Rahul Tewatia and Harshal Patel have been ruled out for the rest of the season. Prithvi Shaw, Shikhar Dhawan, Shreyas Iyer, Rishabh Pant, Colin Ingram, Chris Morris, Axar Patel, Hanuma Vihari, Trent Boult, Ishant Sharma, Kagiso Rabada. Kolkata Knight Riders‘ epic start to the season was brought to a halt after the defeat against Chennai Super Kings at Chepauk. The match was an exact replica of IPL’s opening match between RCB and CSK at the same stadium. The unpredictable nature of the pitch meant that the hosts took wickets for pleasure. KKR were reduced to 47/6 at one point of time and were on the verge of putting up an RCB-esque total had the ever-in-form Andre Russell hadn’t intervened. The West Indian another brilliant half ton to see KKR finish at 108/9. Unfortunately, that wasn’t enough as CSK would go on to chase the target in 17 overs. Terrible start by #KKR, both openers gone in first two overs. Want Russell to bail them out every time? 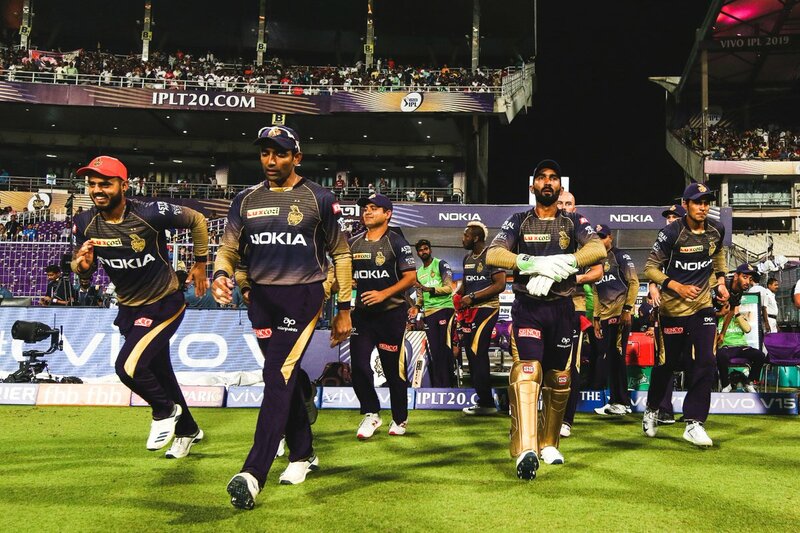 Nonetheless, Kolkata Knight Riders are still one of the best teams in the league so far. They have the depth and quality of all the departments. However, a torturous schedule meant that they played four consecutive away matches. They won two but lost the other two (against DC and CSK). Looking at it positively, KKR will have more matches at home in the second chapter of the group stage. If they are successful in winning those matches (probably that they will), this will help them take the momentum in the Playoffs. In the run into the tough away match against KKR, it was reported that two of Delhi Capitals’ domestic stars – Rahul Tewatia and Harshal Patel – had been ruled out from the rest of the season owing to serious injuries. That is a major blow to the Capitals, especially considering their lack of squad depth. Much was expected from Tewatia who was brought for a hefty Rs. 3 crores in the IPL auctions. He had scalped two wickets at an impressive economy of 6.63. Patel had also started to blossom, having scalped two wickets against KKR. Nonetheless, Ishant Sharma and Amith Mishra would be the two experienced bowlers who will have to take things forward from here. Although DC was victorious in their last match against KKR, the latter is expected to win in the reverse fixture at home. Eden Gardens is a thoroughly batting pitch and thus, choosing 4-5 batsmen would be advised. 2-3 all-rounders are a must (with Andre Russell and Sunil Narine highly recommended). Try to add more spinners in your squad since they have a better economy rate over the pacers. Rishabh Pant (WK), Robin Uthappa, Chris Lynn, Nitish Rana, Shreyas Iyer, Prithvi Shaw, Sunil Narine, Andre Russell, Piyush Chawla, Kuldeep Yadav, Sandeep Lamichhane.